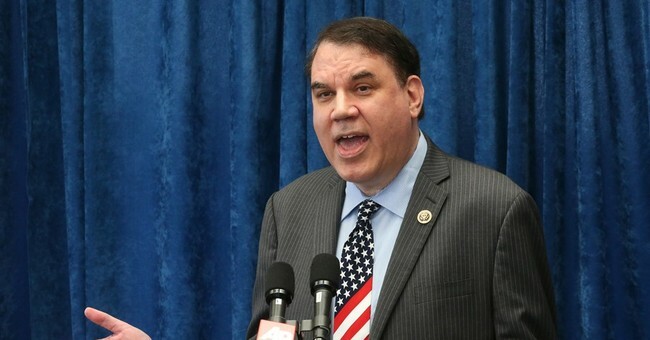 On Thursday morning, Politifact announced that it would be hiring former Democratic Rep. Alan Grayson to help its team of fact-checkers as a "reader advocate." Just two hours later, however, Politifact publicly severed their agreement with Grayson after receiving sustained and intense backlash on social media. Most of the opposition to Grayson's hire came from people who were upset about past allegations against Grayson that he battered his first wife and then threatened a Politico reporter with arrest for questioning him about the accusations. For the past year, we’ve committed ourselves to a series of experiments to try and improve trust and credibility in fact-checking. We’ve fanned out to new states and met with voters, and launched new fact-checking partnerships in Oklahoma, Alabama and West Virginia. We developed a new app, PolitiTruth, that tests people’s knowledge of the facts. Today we’re announcing a new experiment that we’re particularly excited about: We’re adding a Republican and Democratic reader advocate to our site, and for the first time, allowing non-PolitiFact writers to publish on PolitiFact.com. This experiment, which is funded through a grant from the John S. and James L. Knight Foundation, will initially run until the end of April. During that time, our Republican and Democratic reader advocates will be free to critique our fact-checks and provide their own expert insight on the issues confronting voters. But I’m burying the lead, because I’m sure you are curious who they are. So meet our first PolitiFact reader advocates: Republican David Jolly and Democrat Alan Grayson. David and Alan are both particularly qualified, we think, to critique the work of PolitiFact, because they’ve been subject to our fact-checks as members of Congress. David served as an aide to U.S. Rep. Bill Young, R-Fla., from 1994 to 2006, and went on represent Florida’s 13th congressional district from 2014-17. For the past year, he has been a frequent guest on MSNBC and CNN. Alan served on two separate occasions in Congress, first from 2009-11 representing Florida’s 8th congressional district. He then represented Florida’s 9th congressional district from 2013-17. Alan and David will be free to critique any of our fact-checks starting today, and we won’t restrict what they have to say. We’ll promote their work right alongside ours. Two key caveats, since we’ve asking former and possible future politicians to write on our website. If Alan or David say they’re running for office, our relationship will end. And because both appear on television, we retain the right to fact-check them both.